Everyone loves to be and wants to look smart. So why not the ovens? The times have actually come where you can own an oven just because it works with some smart features. And when I say smart, I mean Breville BOV800XL. 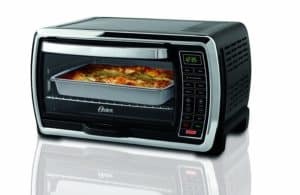 This oven has drawn a great attention of the people who are looking for a cool convection oven with a huge amount of features. And as Breville has built their models with smart traits or you can say with Element IQ, you will definitely want to know about them. 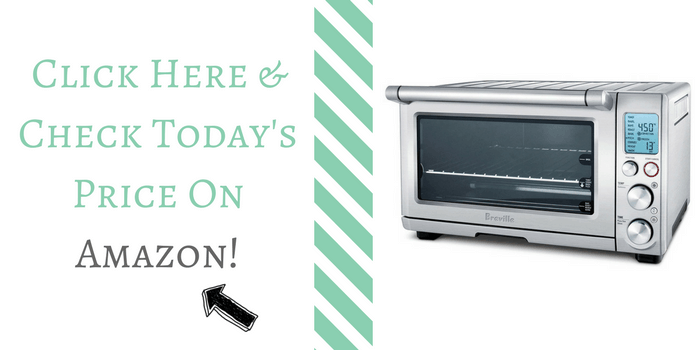 So, in this Breville BOV800XL review, I am going to highlight the most eye-catching features that this oven carries. 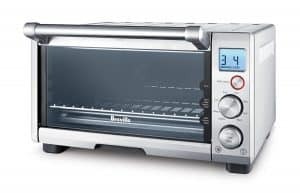 We discussed enough convection ovens in our website before.In fact, we actually did reviews on Breville BOV450XL and Breville BOV650XL before.But this one is different. Here are some features that you would definitely want to know about the oven. So why not we start with the review of Breville BOV800XL with its features. Seems like the Breville went through everything to make their model smarter than other entrants. Although you will find some similar features that you can find in other brands but there are some things that the manufacturer has invested in the model to make it a smart oven. And this review from Breville BOV800XL will help you know about it. So while you use it, you will find a lot of preset buttons with adjustable features in this item. You can level up and down the temperature from 120 to 500 degrees Fahrenheit using the defrost, bake and broil functions. Like the name says, this model is known as Smart oven having a smart feature named Element IQ that helps in adjusting the power of 5 different quartz heating systems so that it can cook the food evenly in less time. And the great thing about the toaster oven is, it comes with a handsome range of temperature and various cooking modes that you will merely find yourself in the kitchen. Moreover, the smart oven uses about 1800 watts while you use and it takes about marginal time to preheat. 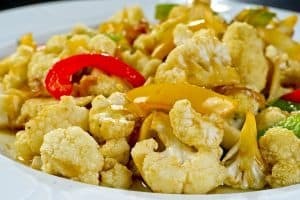 Not only that, it also is able to cook the succulent dish evenly but also has the ability to prepare it quickly. This would be another reason to drop a Breville BOV800XL review. It’s obvious that every family throws a get-together party and while the members demand a 12-inch sized pizza, you get stuck for having a compromising capacity of the oven. Well, with this model, you won’t face it. 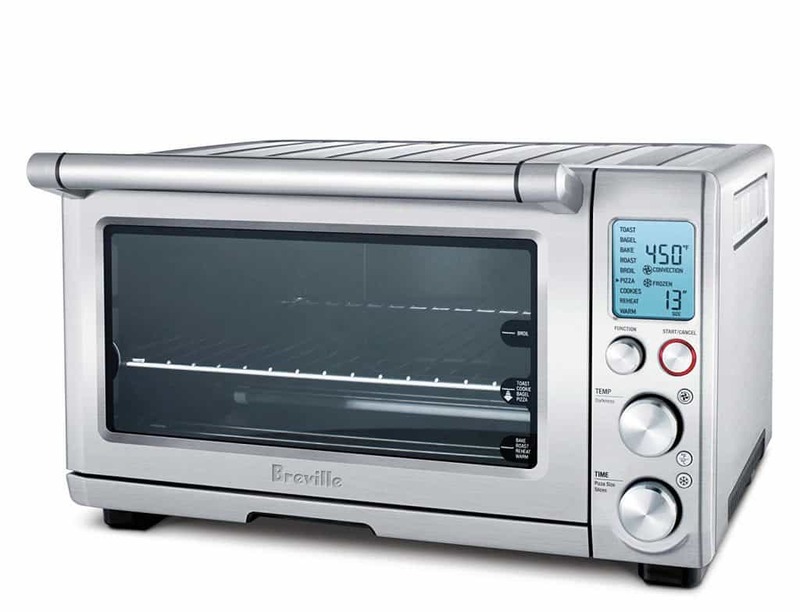 The Breville BOV800XL is smart enough to house the largest pizza even being a compact sized toaster oven. Moreover, starting from weighing only 17 lbs. to take up little space on your counter, it gives us all the convenience. However, another thing that I would like to highlight in this BOV800XL review is, it carries a wire rack inside which you can adjust for multiple cooking. And being a convection oven, it has a fan for use to heat the food with its hot air circulation so that your food can get cooked quickly and evenly. 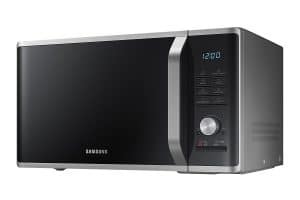 Moreover, it features an insulated dual wall door with a glass window for holding the hot air in the oven that helps your food in cooking more effectively. You have all the power to control the cooking and oven as well just with the tip of your hands. It has control panel showing options for temperature, preset and timer. Just after preheating the unit, it will start the timer automatically when it will reach the preferred setting. All you have to do is use the dial if you want to have a control over those cooking, time and temperature functions. To add more, the unit also comes with the buttons where you can pick any cooking mode: be it convection or defrost and you can also change the mode between Celsius and Fahrenheit. Most of the ovens have this notoriety for working in inaccurate temperature. Well, when it comes to Breville, you will find that the interior temperature of this oven is accurate to the temperature that you set. As for the exterior heat, well this would be the worst downside of this oven. So yes, this oven does get hot outside while in use leaving many of the people infuriated. It has a large capacity to house 12 inch sized pizza to cherish. It comes with 9 different cooking functions to explore different types of food. Element IQ helps you in adjusting about 5 quartz heating element with 1800W to cook the food even in lesser time. You will find 3 rack systems for trying up more cooking options. It comes with Backlit LCD panel that turns to orange from blue while cooking. The oven might get hot while cooking. It does not have a loud timer alarm. It might not fit all the cookware. Also Read: Read Breville BOV845BSS Review here. The exterior dimensions of the unit including handle are 18.5-inch wide by 11-inch high by 15-inch deep. The interior dimensions of the unit from bottom rack to top are 13.5-inch wide by 6-inch high by 12-inch deep. Can a 13 by 9 pan fit into the oven? Yes, a 13 by 9 pan can fit into the oven only if there is no handle in the pan. How many amps does the oven draw? It draws about 16.5A on a 110VAC line. Does the oven has timer and auto shut off feature? Yes, it has a timer and it will shut automatically off in the reheat, bagel, toast, pizza, and warm modes. What is the maximum temperature of the oven? The maximum temperature is 500 degrees Fahrenheit for broiling. As for pizza, it is 450 degrees Fahrenheit. Breville BOV800XL review is not only showing the positive sides, it is also about highlighting the negative sides also. 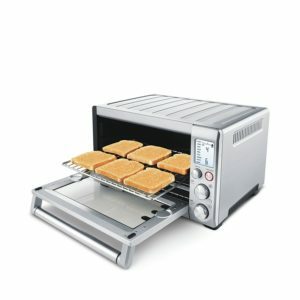 But with its Element IQ, the toaster has managed to win almost all the hearts of people. Although the device from Breville cannot stay cool when in use and gets hot outside. But if you look at the performance of the oven, it does make-up everything. So if you want to have a smart oven for yourself, this Breville BOV800XL might encourage you to have it.